When I use to see pegboard at the store I had no Idea it was this useful. 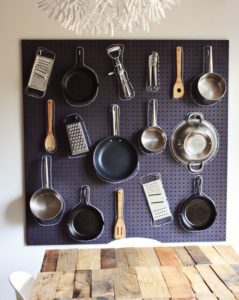 Pegboards can be re-purpose for anything storage and organization. Hell! It can also be an accessory to your decor. It is beyond functional and you can get creative with designing and decorating it to suit your needs. 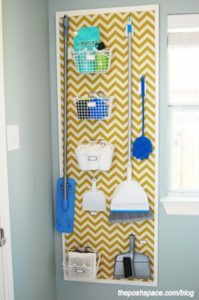 I have gathered 12 awesome DIY pegboard ideas to keep your house organized. I am sure you can find at least one idea useful for your home or office. 1. 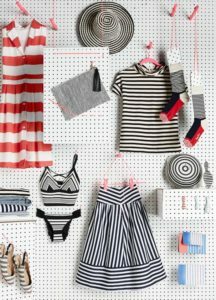 Pegboards can be used for hanging your clothes or even using it to help decide on what to pair with what. This idea could definitely help me with my go-to outfits especially in the winter. I hate searching for my gloves, scarves, hats, socks and long johns. So, this would be perfect to help me to able to grab and find them easily. 2. Have you even ever thought about this? Because I know I haven’t, I didn’t think this was possible. But clearly, Sarah Parks Event thought different. 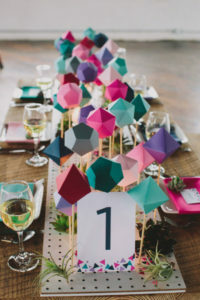 Their clever idea made a pegboard table runner for a wedding. Beautiful! 3. Are you into gardening and building/fixing things? Well, then most likely you will have many tools, so, this is an absolutely fantastic idea to store your tools and if you have the room you can store some pot flowers too, to spruce up the look. 4. 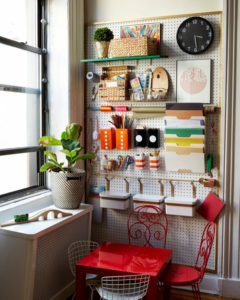 Crafts items and other stationery items can be stored on a pegboard as well. 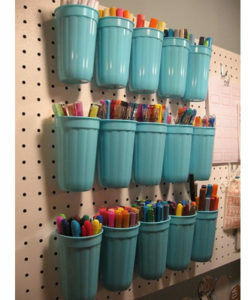 This is a great idea for your kids to store their stationery items to avoid them from being lost/misplaced. Nothing beats being organized. 5. 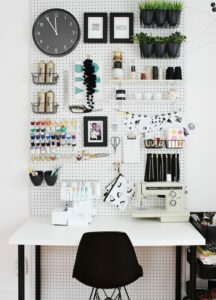 Another way to organize your craft with a pegboard. 6. 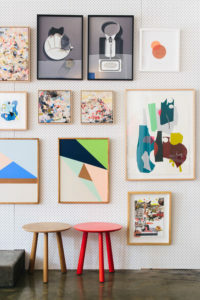 Try hanging your painting using pegboard. 7. Are you a mug collector? 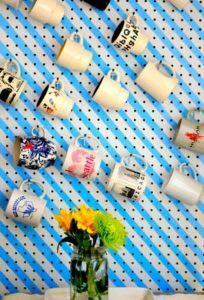 or you maybe you would like to use this to hang in your kitchen to organize your mugs. I am a collector, so this is perfect for me. 8. WOW! Just wow, if you tell me you this idea is not cool and you wouldn’t want to try this. then we are not friends (joke). I am an organized junkie, you know how I hate seeing the darn broom, mop and duster ‘all over the damn place’ (My Jamaican Voice). Get it together. 9. Would you like a cool way to store your jewellery? Well, here you have it. 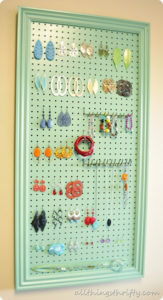 Pegboard Jewelry Holder. 10. How about hanging tour kitchenware on a nice chalkboard pegboard or pegboard chalkboard? either way, it works. 11. 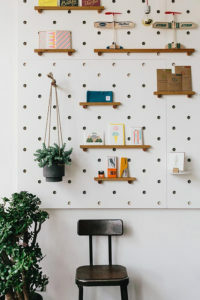 Stationery pegboard to organize your office supplies. 12. 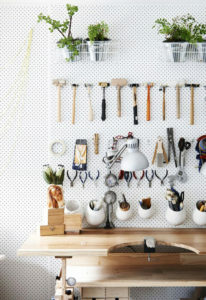 Just another great idea to use your pegboard.